The World Quizzing Championships 2017 saw 729 players from the Asia Pacific heading out to take part in the quiz. Introducing Movin Miranda, the highest-scoring player from Asia Pacific. 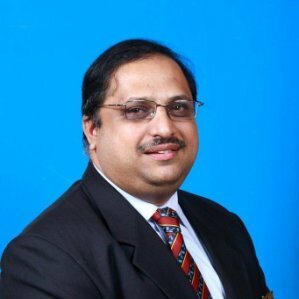 Movin is originally from Bangalore, India but lives with his wife and daughter in Kuala Lumpur, Malaysia, where he is a general manager at Petromar Energy Services, a company trading in oil and gas. Movin was educated in Rajajinagar, West Bangalore and has long been active in quiz, nationally and internationally. His first big break in quizzing was in the very popular Indian TV show QUIZ-TIME where he reached the top four in 1986. He often collaborates in setting questions with his old pals in Bangalore and tells us that his favourite quizzing project is an annual quiz involving some 200 schools in Malaysia each year for his Rotary club at five cities spread over Malaysia. Movin placed #29th overall in this year’s KQA MindSweep Quiz and can currently be found playing in the ‘Jaguars A3’ division of 2020Quiz. WQC question papers: Are available to purchase online here both in English and Japanese.